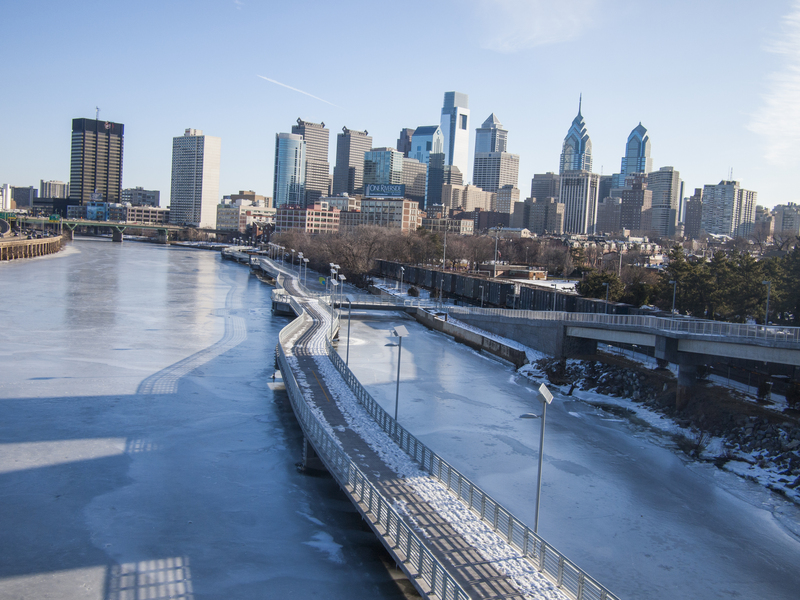 A familiar view of Philly with an iced over Schuylkill River, 28 February 2015. 05 Mar	This entry was published on March 5, 2015 at 7:51 am. It’s filed under South Street Bridge Skyline, West Philly and tagged Philly skyline, Schuylkill Boardwalk. Bookmark the permalink. Follow any comments here with the RSS feed for this post.